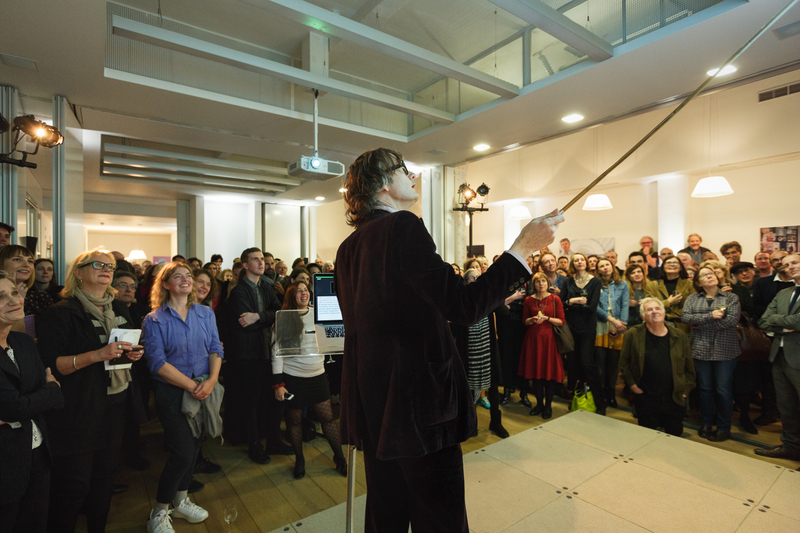 On Thursday 9 November, Jarvis Cocker joined Jane Hamlyn, our Chair, to announce the recipients of Awards for Artists 2017. As guest speaker at this year’s awards reception, Jarvis gave a personal and witty presentation, charting the work of Paul Hamlyn and stressing the importance of bringing art and culture into the homes of the many. Below is a transcript of his presentation, complete with a selection of images. 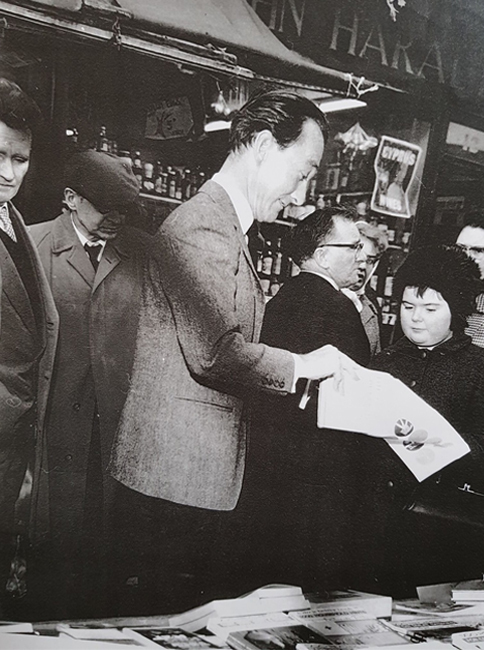 When I was first asked to make this speech I came to this building to meet Paul’s daughter Jane and discuss what I might talk about and she showed me this photo: a photo of her dad (there he is) selling books on a market stall, so great was his determination to bring high quality books within the reach of ordinary people. Now, I don’t know if you can read the names of the buildings on this map of the estate but there are a few named after famous French writers and intellectuals such as Colbert, Racine and….Voltaire. 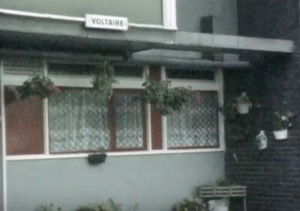 (This is a still from the original video for the Pulp song “Babies” which was shot whilst we were living on the estate). It’s kind of funny that the council chose such literary names for the blocks of flats given the nature of the story that I’m about to relate. The year is 1992. We were living in this council flat in the block named Colbert (finance minister to Louis 14th, I’m sure you know). TV reception was poor, as were we. One day my girlfriend of the time did some baby-sitting for the family next door. Later, when I asked her how it had gone she said “not bad – but when it got to bedtime and I wanted to read them a bedtime story the only book I could find in the house was an Argos catalogue!” Hardly great literature, as in not much to work with…’Once upon a time there was a coffee machine who was madly in love with a portable television’. 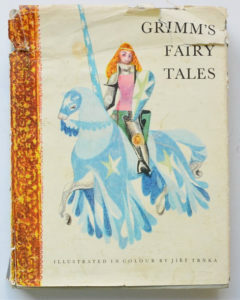 What she could have done with was a collection of Grimm’s Fairy Tales, as published by Paul Hamlyn back in 1962. An example of that crusade to bring high quality books with full colour illustrations into as many homes as possible. Books designed to entertain and fire a child’s imagination, maybe even inspire them to grow up be creative rather than …. 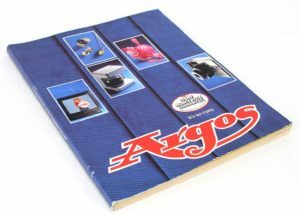 an argos catalogue: more likely to inspire them to grow up to become (merely)… customers. (bzeeow!). I am not blaming Argos for all society’s ills by the way, I actually quite like going there, especially those little blue pens they have. So let’s take a look inside Grimm’s Fairy Tales, because there’s a ‘grim’ little story in there that feels rather pertinent: turn to page 72 where we will find……the Pied Piper of Hamelin! Take note: that’s H-A-M-E-L-I-N rather than H-A-M-L-Y-N: slightly different spelling but a whole different meaning, as will be made clear in the fullness of time. 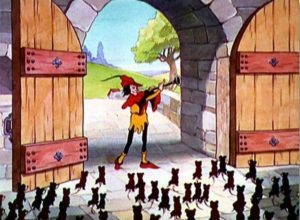 If you’re familiar with the story you’ll know that the Pied Piper was called in because the town of Hamelin was infested with rats, yuck. Anyone recognise this logo? What does it stand for? Mancunians For Peace? Man Fried Panda? Any more guesses? 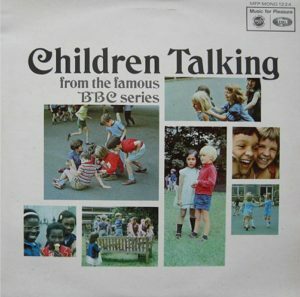 ‘Children Talking,’ this is a great record I’ve played many extracts from it on my BBC 6Music show the Sunday Service over the years. Children talking about their lives without any interference from grown-ups. And how about this? (Too early? It’ll be upon us before you know it.) Tijuana Christmas: Only the best Xmas record ever made (in my humble opinion). And it seems Paul Hamlyn’s strategy worked. 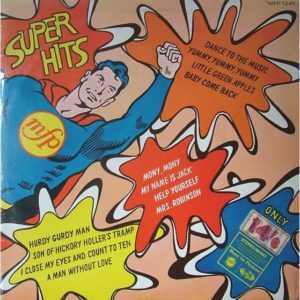 He may not have got the Brothers Grimm to Peckham, but I distinctly recall seeing this record sleeve in our local corner shop in Sheffield when I was a kid. 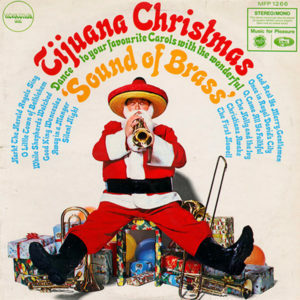 I mean, who could forget the sight of a Mexican Santa blaring away on his trumpet whilst squashing all those presents? 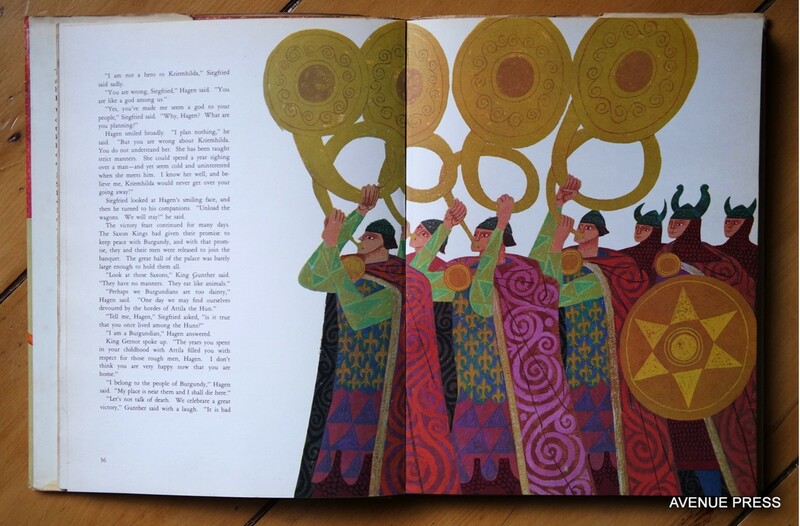 And I also recall this fanfare, it’s an illustration from a Paul Hamlyn book that I was given for my 6th birthday: a book called ’Siegfried the Mighty Warrior’. But never mind Mighty Warriors, you’re probably getting curious as to what happened to the Pied Piper…Aren’t you? You may recall that in the story the Piper’s flute works just as well on children as it does on rats. 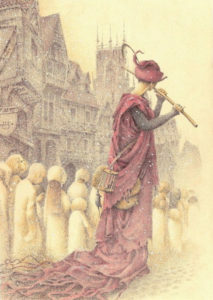 So when the burghers of Hamelin renege on their promise to pay the Pied Piper for solving their infestation problem he starts playing it again and the kids are all instantly mesmerised and follow him out of town…This is where we get to the crucial difference between the two pipers: Hamelin and Hamlyn, remember? 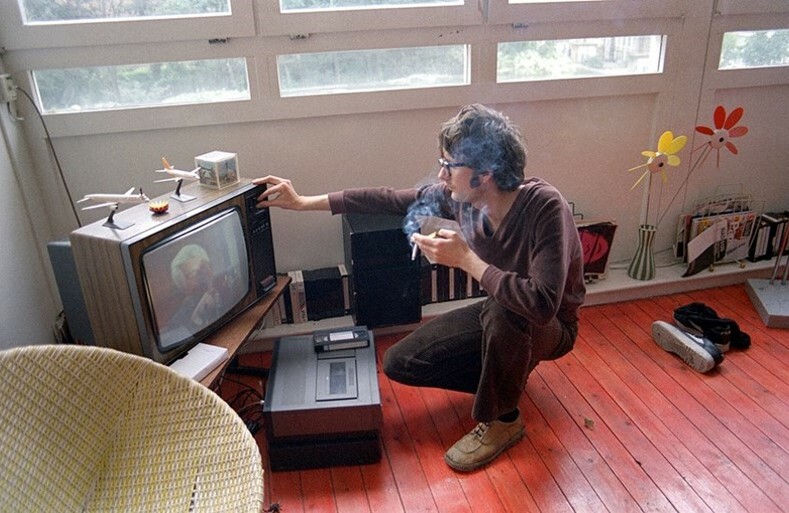 This Pied Piper (let’s call him Paul) wanted his tune to stimulate people, to spark their creativity and lead them to a place where they could manufacture their own wealth: a wealth based on artistic production. This Piper on the other hand, what can we call him? Pick a name at random….Rupert? (Cheap shot, I know…) Rupert of Hamelin. This Piper leads his children down the path of Passive Consumption – towards certain doom – and Argos (probably). I know which Piper I would rather follow and that’s why I was very honoured to be asked to make this speech tonight. We’re constantly being reminded of the ever-widening gap between the rich and the poor, the haves and the have-nots but Paul Hamlyn, and the foundation that continues to bear his name, realised years ago that there’s more to poverty than just economics: there is also such a thing as intellectual poverty. Paul Hamlyn’s or iginal determination to bring quality books to a mass audience and thus bring culture to all, feels somewhat heroic in these divisive (and divided) times. The award that bears his name carries on this tradition: providing meaningful funds to artists at a time when they really need them. Enabling people at all stages of their careers and from all different backgrounds to create work. Work that then enriches the lives of all of us. It’s a rat race out there, maybe it always has been, but art (and artists) can make it all a little more bearable. 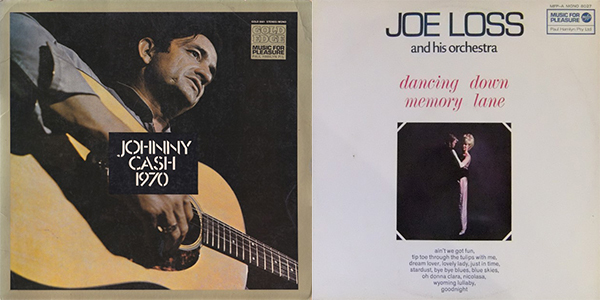 One final record cover: … ‘Is it a bird? Is it a plane? 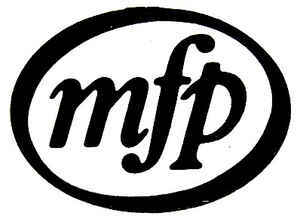 No, it’s MFP-man!’ – Paul Hamlyn Foundation is still fighting the good fight: like a Mighty Warrior, like a Super Hero. Long may they continue to do so. 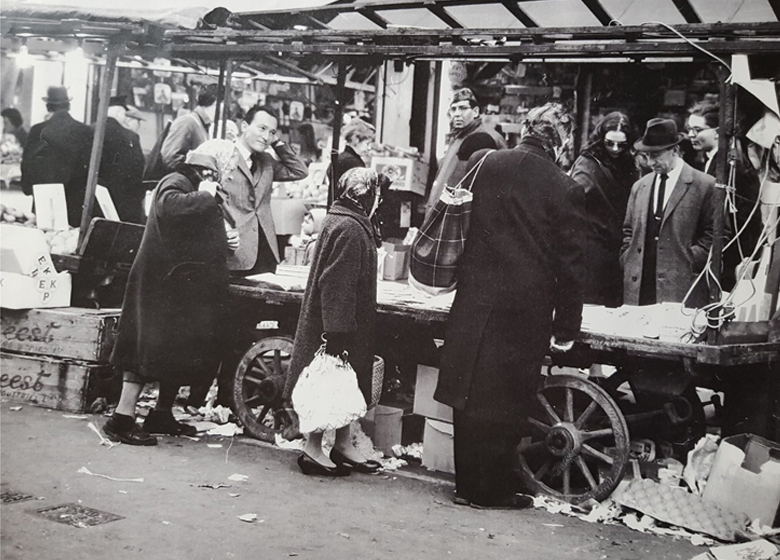 And remember that it all began…on a single market stall!